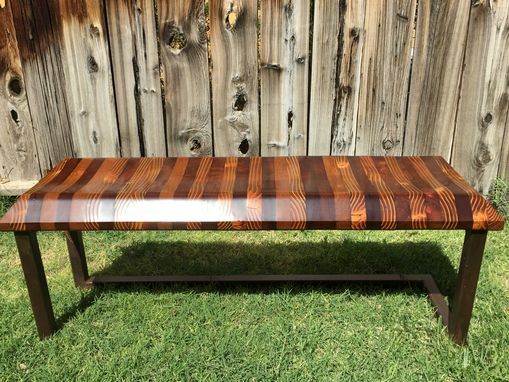 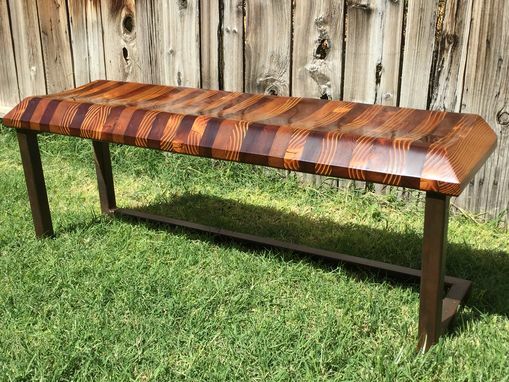 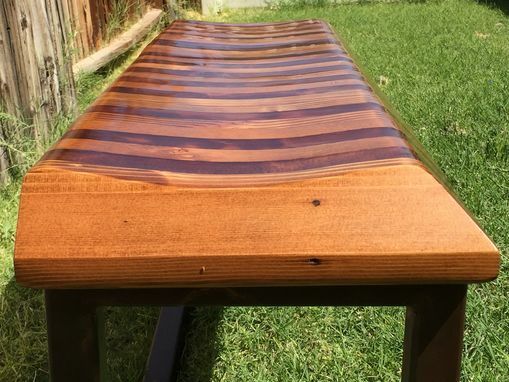 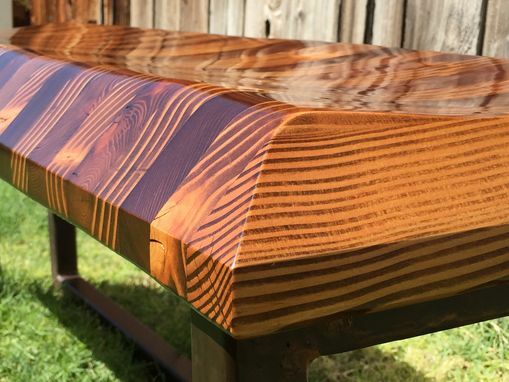 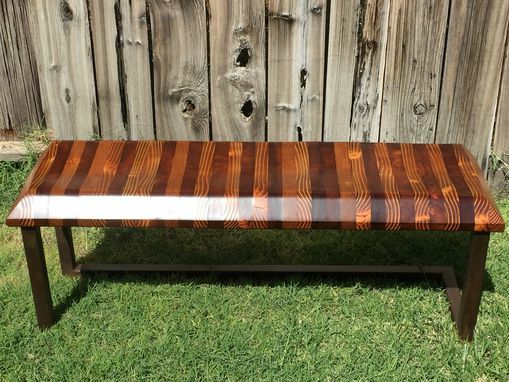 This bench is made from reclaimed laminated boards fixed to a steel base which had a chemical patina finish. 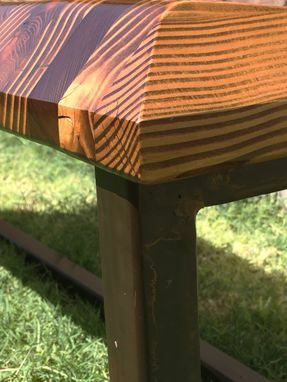 The seat ad been finished with a satin polyurethane varnish and rubbed out to a silky smooth touch. 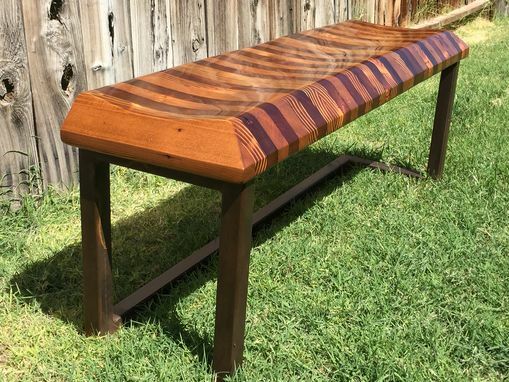 Measures 40" long x 13" wide x 17" high.